We’re getting ready for Thanksgiving with our newest seasonal project, Gobble Trouble! Looking for some stellar Featured Makers? Look no further than Jacob and Josiah, who are making awesome projects with code! 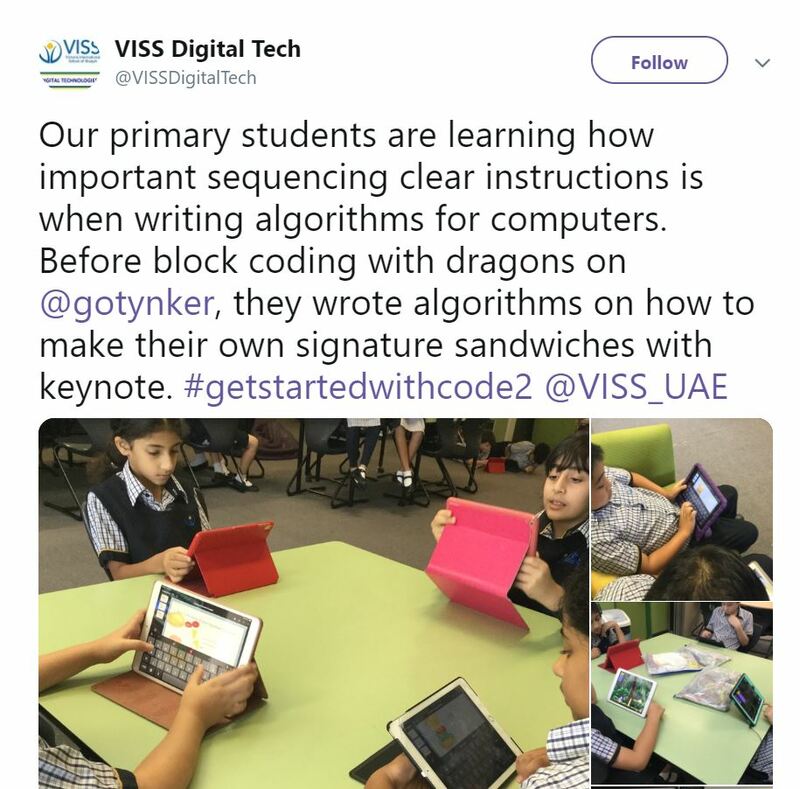 From fantastic projects to our Featured School and tweets from our Tynker community, there’s so much to be excited about this week! Begin your Pokemon adventure with choosing your own Pokemon from the selection in the beginning and then running around town engaging in battles! The Evil Dr. Robotnik is trying to rain on Sonic’s parade again! Dodge him and his little robot minions and attack his legs when they turn blue! You are the wizard and your homing missiles must be used to get rid of all the pesky chickens! Accumulate enough money to upgrade your magic! You’re a hungry shark looking for food! There are obstacles that will try to prevent you from doing that, so you must maneuver from the falling objects. Brodie used a lot of amazing code to make this boss extremely difficult! Dodge all the ensuing meteors and obstacles to increase the amount of time that you survive! 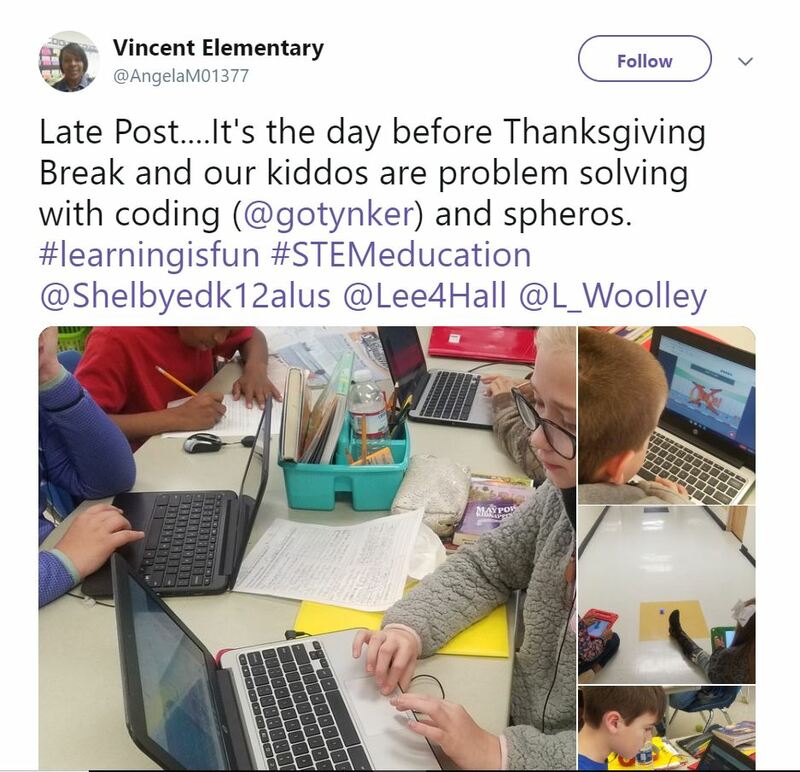 These students are celebrating Thanksgiving with Tynker! 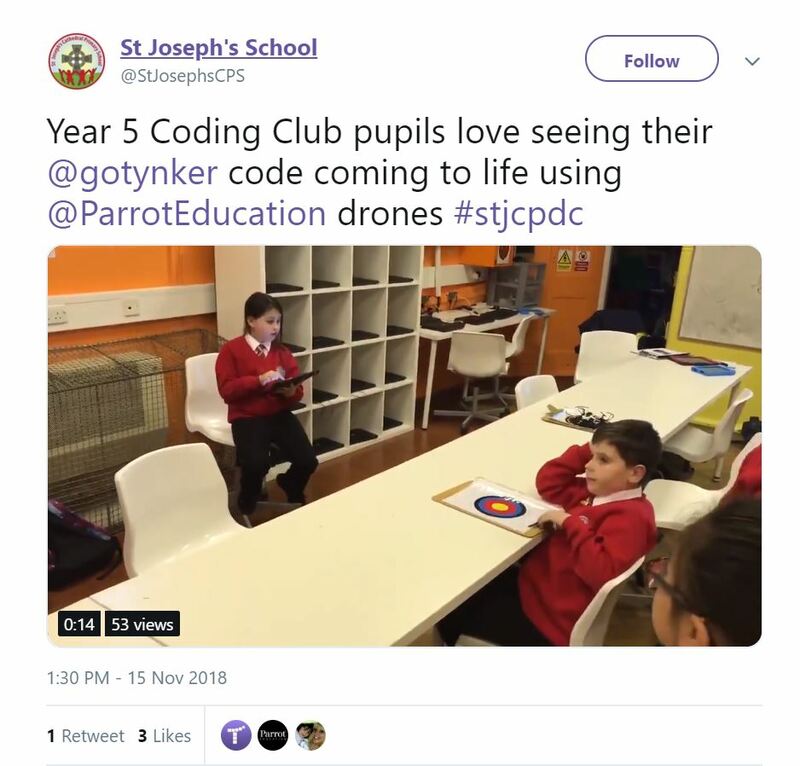 Drones come to life with Tynker! Check out how these students are practicing problem solving! 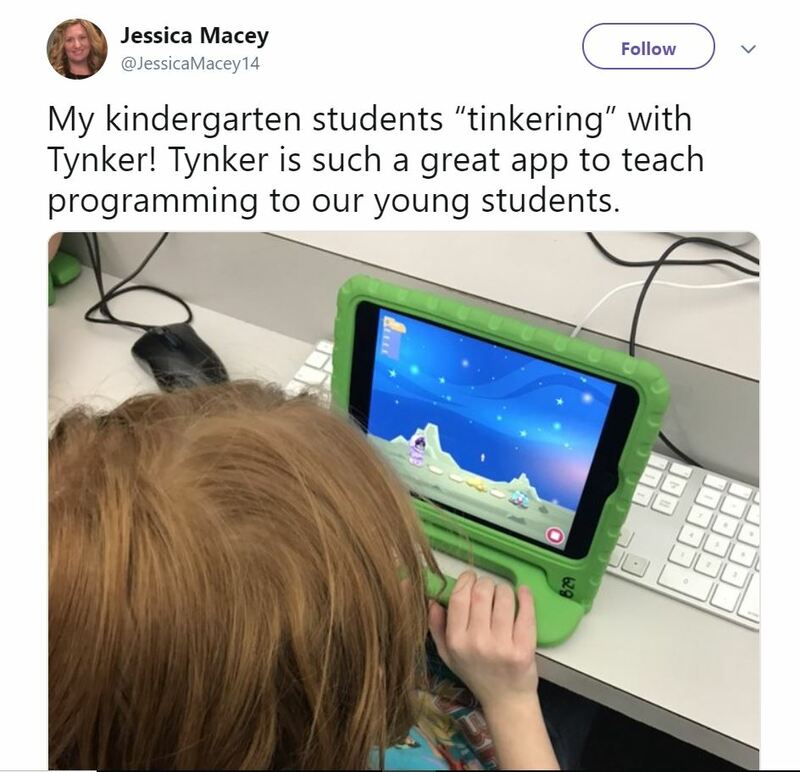 Kindergarten students can learn to code with Tynker! 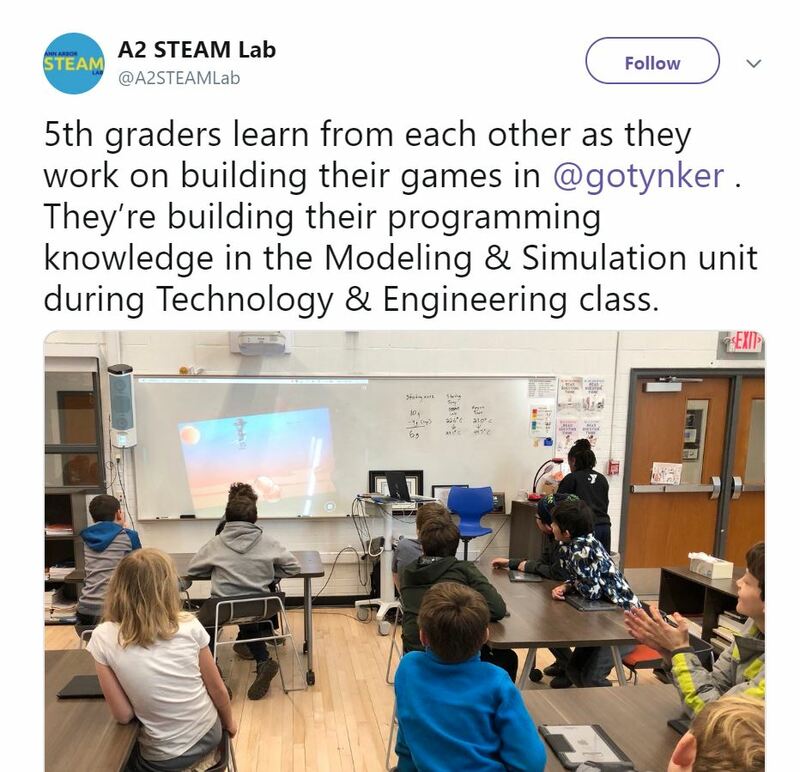 In their Technology and Engineering class, these 5th graders are using Tynker to make games! These students are using Tynker to learn about algorithms! Our Featured Makers this week are a dynamic duo! Jacob’s made some awesome Daddy Kong games, and Josiah plans to be a video game engineer! 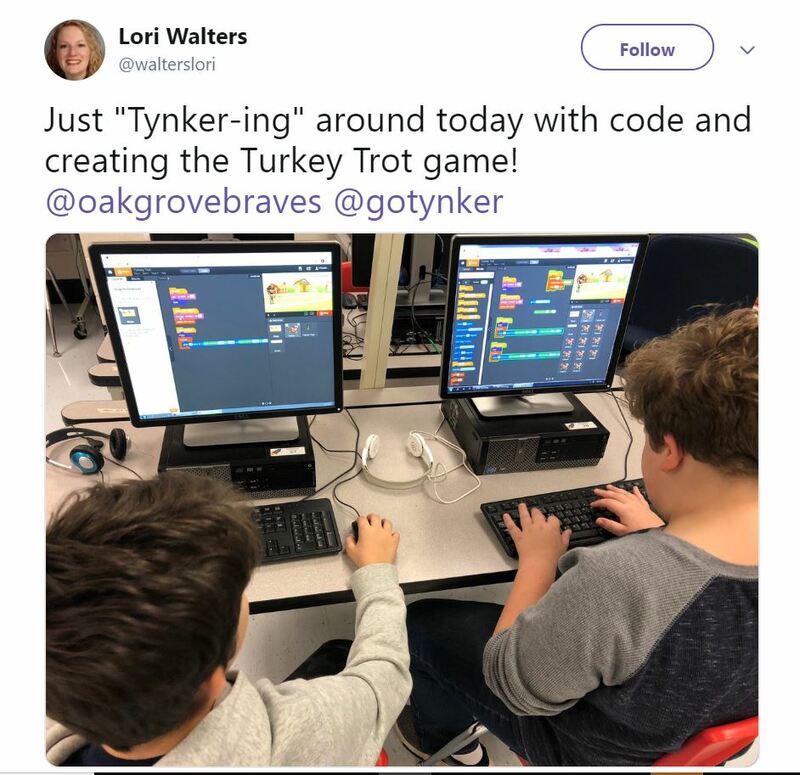 Sope Creek Elementary, our Featured School, is helping students become “fearless, armed with coding skills ready to tackle any new challenge”! Ready for some Thanksgiving fun? This week we launched our newest seasonal project, Gobble Trouble! Code a hide-and-seek game–with turkeys!